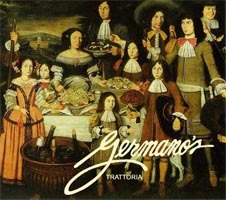 GERMANO'S menu appeals to the vegan and vegetarian as well as the steak or seafood aficionado. Our pasta is made on the premises and is truly the best in Baltimore. We support an important group of charities which include The Volunteer Center, The Autism Biomedical Information Network and The Ellipse Foundation. We recognize that our patrons may have food allergies and provide accurate information about all of our menu selections. GERMANO'S proudly serves its diverse community, including our local friends like Talara, and our favorite online headshop, TAG. 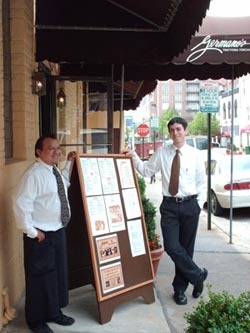 We attribute our success to our loyal following of neighbors and travelers, who enjoy GERMANO'S for casual dining, discrete business meetings and special occasions. Our dining rooms and the entire restaurant may be reserved for large events such as anniversaries and weddings.